If you are looking to create a real casino atmosphere, slots are the perfect finishing touch. The first thing anyone experiences when they enter a casino is the flashing lights and musical melodies of slot machines. 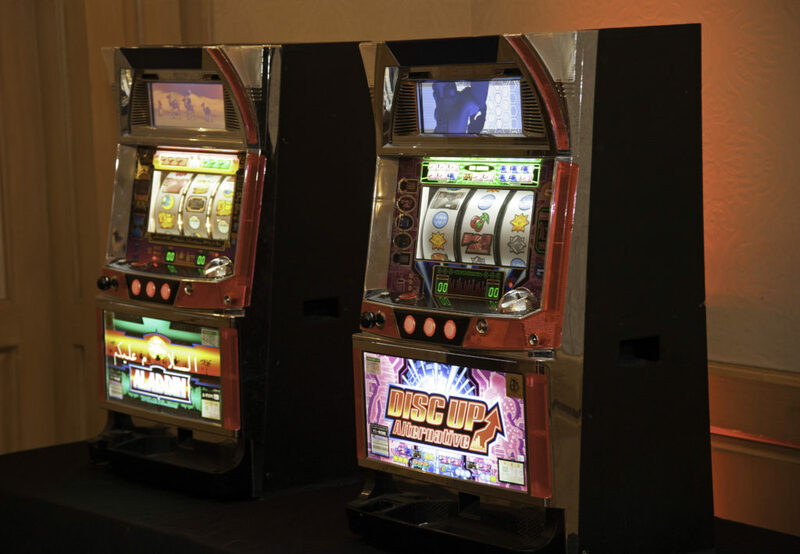 You can bring the excitement of an international casino to your party by adding these interactive machines. We offer a variety of Pachislo Skill Stop Slot Machines. Pachislo slot machines have “skill stop reels” meaning you control when each reel actually stops, putting skill into the game. It features a fully animated LCD screen. When you hit certain combinations, you can sit back and watch the LCD show. Jackpot winner are treated to a show of flashing lights, music and sound effects. Our Deluxe Wheels of Chance are made of genuine American birch plywood. The plywood is the same kind used to make premium kitchen cabinetry. 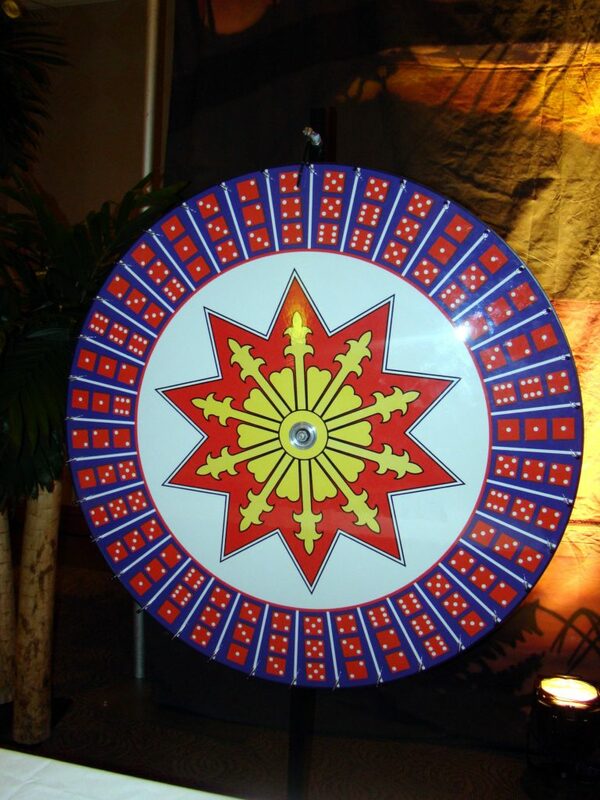 48-inch jumbo dice wheel of chance. Numbers 1 through 6 are represented as dice on the wheel. Includes a 7-foot metal pole, base and layout. 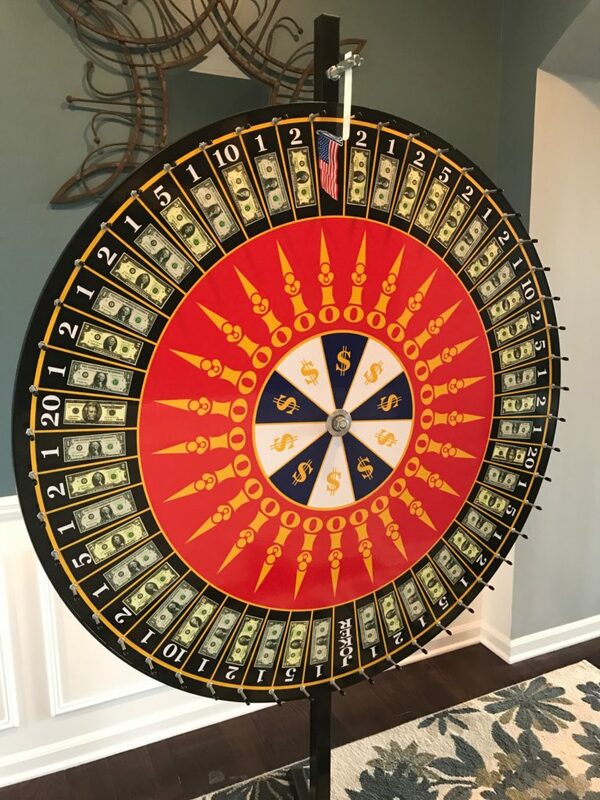 Our 48-inch big money wheel. Includes a 7-foot metal pole, base and layout.